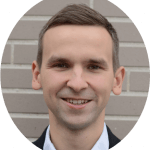 Simplanova invites Dynamics NAV community to the webinar: How to Successfully Upgrade a Heavily Customized Solution to Dynamics 365 Business Central? During the live webinar we will share the experience in upgrading heavily customized solutions with large databases from the pre-2009 versions of Dynamics NAV. How to pick the right upgrade path: a fresh start, as-is or smart upgrade option? How to efficiently save time on customer consulting effort? How to scope the upgrade and delegate tasks? How to manage 1 TB database migration? How to make the best out of the object conversion and when to move code to extensions? What things could go wrong? The webinar is planned to last for 1 hour and will be presented by Petras Butenas. Petras Butenas is the CEO at Simplanova, a company specializing in successfully delivering Dynamics NAV upgrades. Over the past 5 years Simplanova has delivered 200 Dynamics NAV upgrades and productivity tool pack to make the process automated for the Dynamics Partners community. You can find the record of this webinar and QA here.